THINK OF A GROUP TO JOIN!!!! WE ALL CONTINUE TO LOOK FORWARD TO A BETTER FUTURE THIS YEAR! ​WE WILL CONTINUE TO CELEBRATE OUR FAMILY, OUR NEW ​AND OLDER FRIENDS, AND OUR FREEDOM! THE STRESS OF DAY TO DAY LIVING HAS GONE THROUGH THE ROOF. THERE ARE SO MANY SAD THINGS THAT CAN SLAM INTO OUR WELL BEING EVERY DAY FROM SIMPLY OPENING UP A LETTER FROM YOUR LANDLORD OR WORK PLACE TO TALKING TO YOUR SIGNIFICANT OTHER.  COMING TO THE GLORIOUS HEALTH SOCIAL "CLUB" CAN BE A GREAT STRESS RELIEVER TO BE AROUND NEW AND EXCITING FRIENDS BUT DO NOT LET YOUR JUDGEMENT BE COMPROMISED IN ANY WAY. YOU HAVE TO STILL TAKE CARE OF YOUR SELF. YOU ARE # ONE. RECREATIONAL DRUGS CAN KILL YOU. PLEASE DO NOT DRINK OR EAT ANYTHING FROM ANYBODY UNLESS YOU SEE and KNOW WHAT IS BEING OFFERED TO YOU. PLEASE DO NOT PUT YOUR WELL BEING IN THE HANDS OF OTHER PEOPLE. YOU MAY NEVER WAKE UP. THIS DOES HAPPEN ALL TOO OFTEN. Five people recently died in one night at a well known club in this area! MORE WITH YOUR FAMILY AND ORGANIZATIONS.